If you’re still using a traditional electric heating system, you’re missing out on the savings, energy efficiency, convenience, and customization that Smart Heating systems have to offer. For years, smart thermostats like NEST™, Ecobee™ and others have dominated the landscape. Unfortunately these thermostats only offer low voltage control for furnaces and boilers. There has never been a simple solution for the electric baseboard heating market, a market which is prevalent and growing right here in Atlantic Canada- until now. Today, we’re going to walk you through everything you need to know about Dimplex’s CONNEX Smart Heating System. Okay, so before we get into details, let’s start off with the basics: What is Smart Heat? Smart Heat is a heating system that offers whole home control on a wireless system. This means that you have complete control of how you heat your space using a wireless remote or your phone. The CONNEX system offers complete flexibility and is a perfect fit for both residential and commercial spaces. 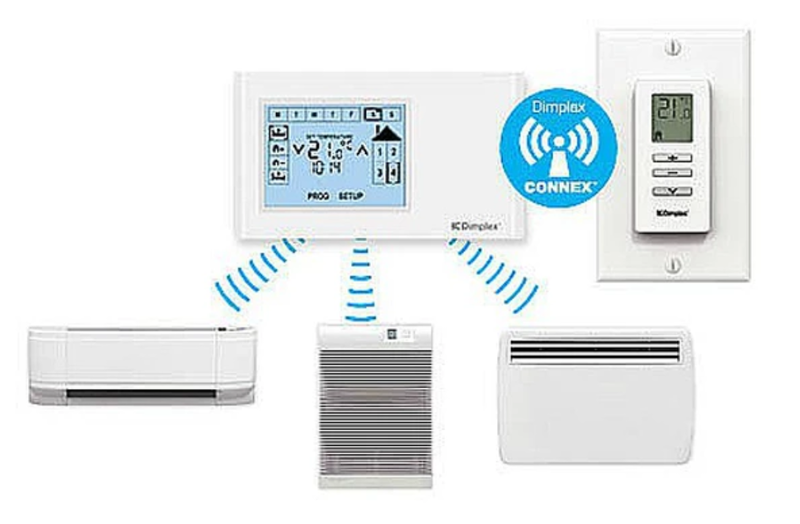 You can choose between installing an entire CONNEX system or integrate CONNEX’s smart technology to operate with your current system. So what’s so special about this system? Here are just a few of the reasons we guarantee you’ll love it. With the CONNEX electric heating system, you get a return on investment in just 3-5 years. 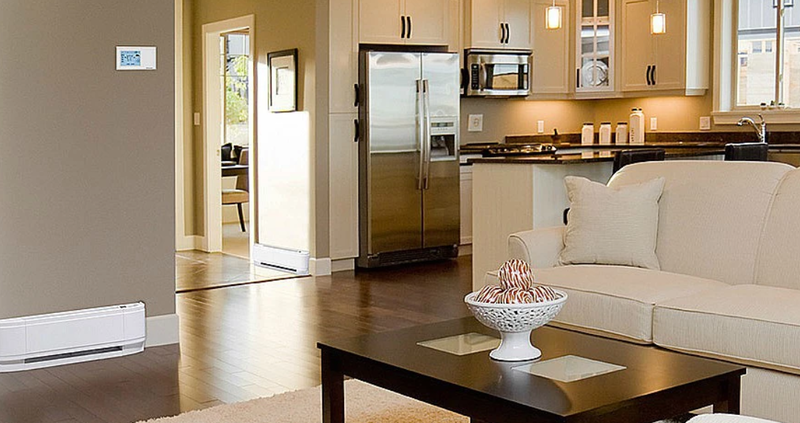 You’ll notice an energy savings of 29-33% with their smart fan heaters and baseboards, as well as an overall savings thanks to the system’s high temperature sensitivity and programming options. The CONNEX system allows you to customize how and where you heat your space. Rather than maintaining a uniform temperature throughout, you can employ zone heating to heat the rooms you actually spend time in. This offers substantial energy savings and customizable comfort. With Smart Heat, you can control your heat from anywhere! Forget to turn down your thermostat when you leave home? Do it from your phone. Heading to the office and want it to be warmed up when you get there? Turn it up on your drive in. Wherever you are, you’re in complete control. Technology can sometimes feel overwhelming, but installing CONNEX couldn’t be easier. Because the heaters run on wireless technology, there are no wires to run and no holes to cut, and the CONNEX thermostat will work with any brand of baseboard or fan heater. CONNEX is the perfect compliment to the large market growth of ductless heat pumps. These heating systems still require a back up heat source and because the CONNEX product does not require in wall thermostats it can be retrofitted with a single wire directly to the heaters. There is no faster installed product for this application than CONNEX.